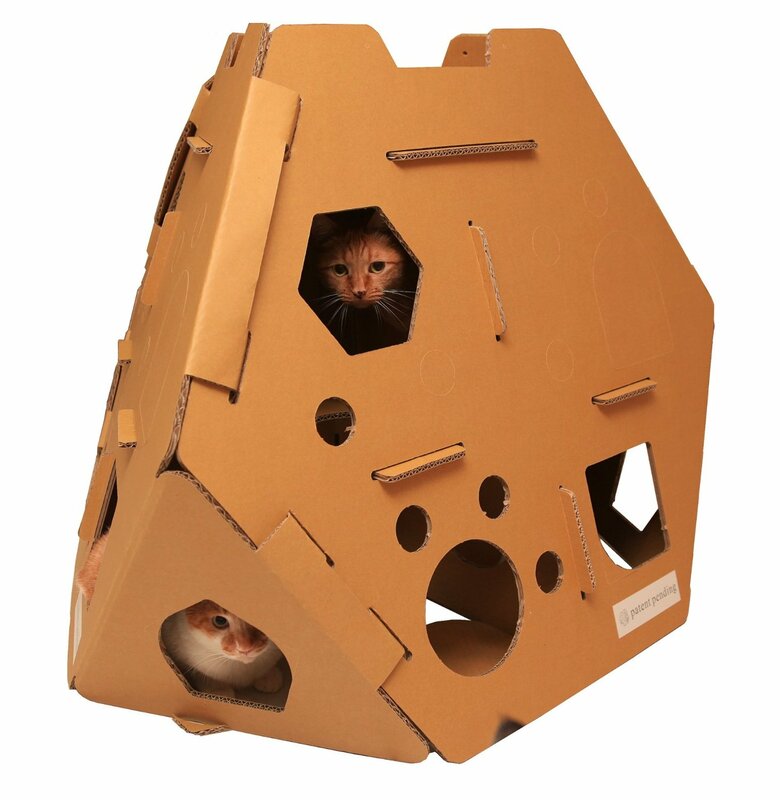 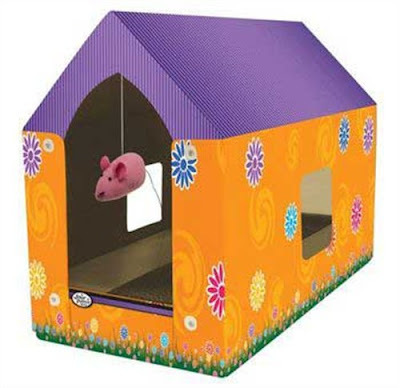 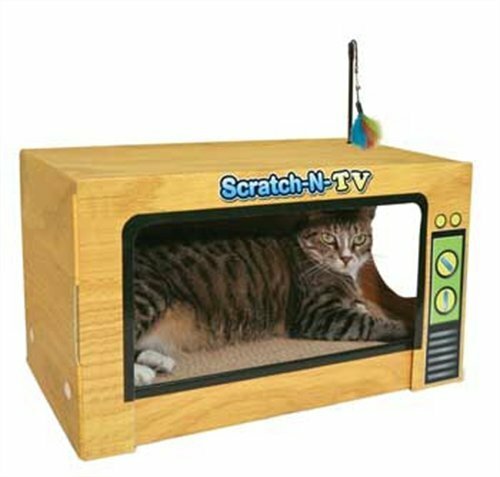 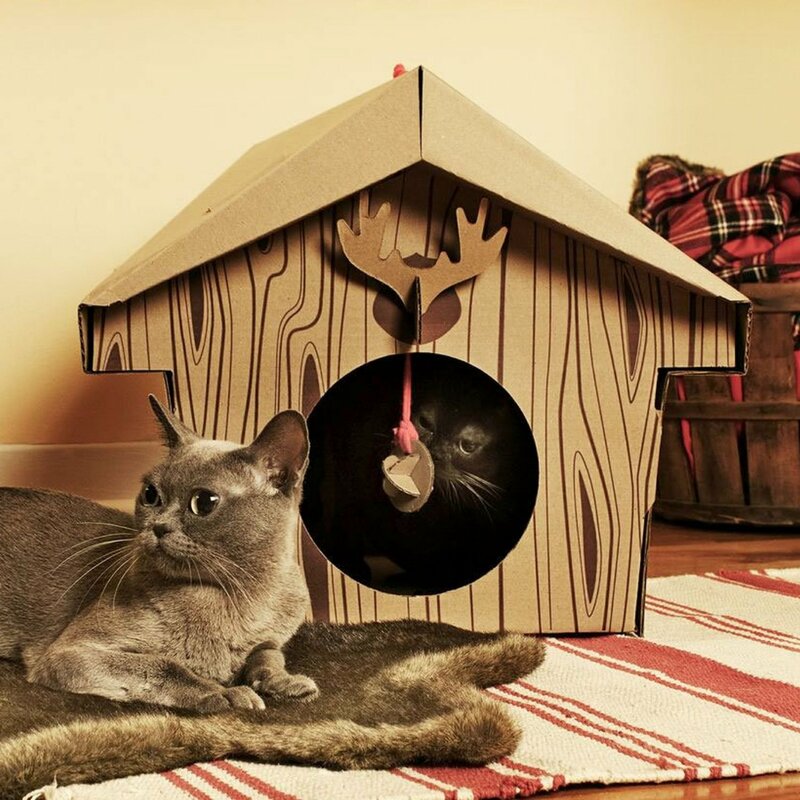 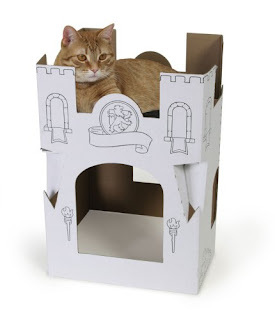 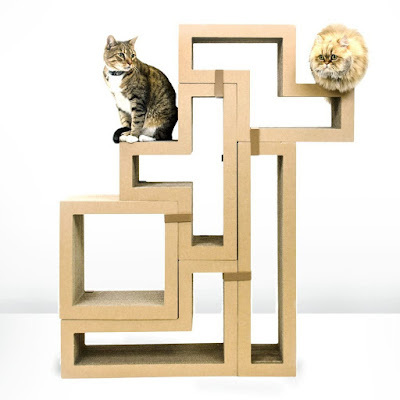 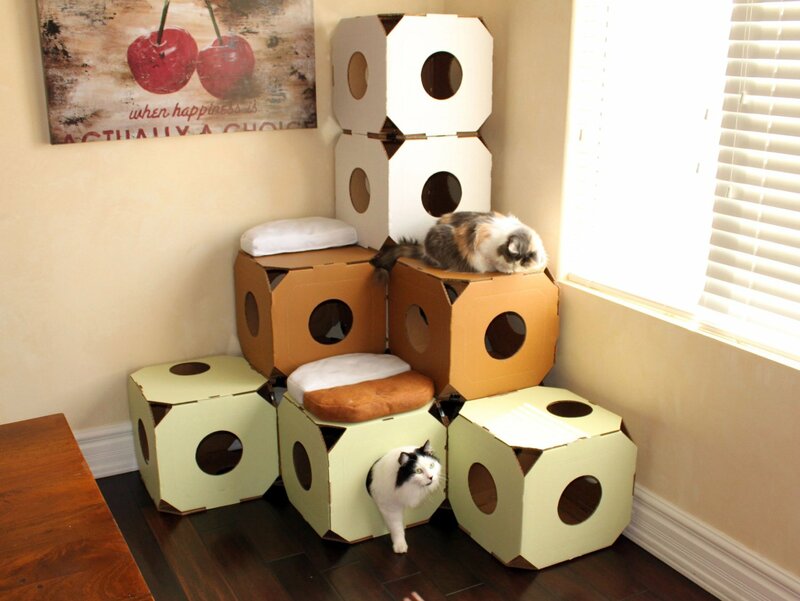 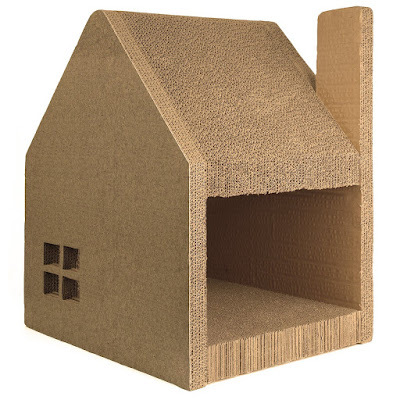 Cardboard Cat House: Cat Scratcher + Play House - Could be more great idea? 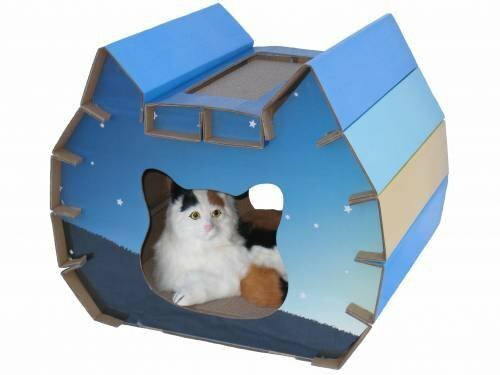 Folded cardboard Cabin house for cats,No need for tape or glue,Full instructions included,Easily fold away for storage. Available in various designs - Cabin, Tepee, Tank, Plane, Fire Engine and Cadillac. 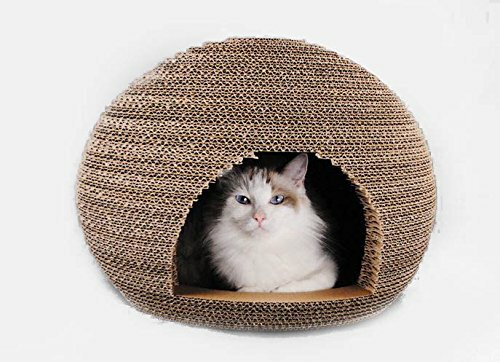 House style, providing your cat with privacy and comfort for all their scratching needs· Two corrugated scratching surfaces.Cats can hide and play in the house. Click here to shop it .